Mexico Flag for print outs and activities for students. Design: Mexico flag consists of a vertical tricolor of green, white and red, with Mexico national coat of arms in the center of the white stripe. 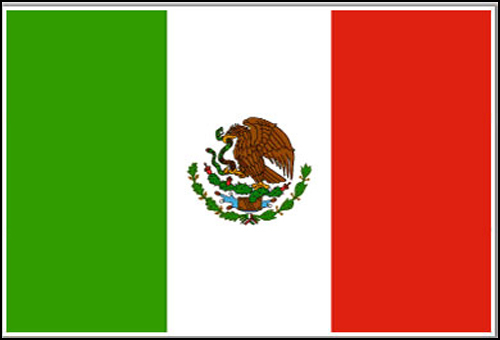 Mexican Flag was adopted on Septembet 16, 1968.